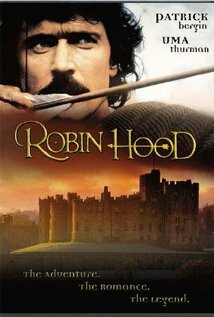 During the 1970s and 1980s a number of films and TV programmes were shot here, including Doctor Who, the film Robin Hood starring Patrick Bergin and Uma Thurman, and the Treasure Trap live action role-playing game. Rising majestically above the Cheshire landscape, the castle is both enigmatic and enchanting. Originally the home of Lord Tollemache and built in the early 19th Century, this Grade I listed building is the only intact medieval style Castle in the country. 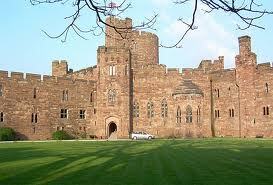 Over the years the castle has been the location for numerous movies including Robin Hood and Dr Who. Now owned by the Naylor family, the stunning exterior has been complemented by a loving and considered restoration programme resulting in a magnificent hotel and venue offering contemporary luxury and impeccable service. Services include 48 stunning individual guest rooms, conference, events, and wedding facilities for up to 180. Tranquility beauty, on site Falconry and team activities all adding up to a rather magical experience. Dining at the Castle truly is a special occasion, welcoming the public as well as hotel guests. The 1851 Restaurant offers a dining experience fit for royalty. Holder of 2 AA Rosettes and a Taste Cheshire Award. Alternatively the more informal and cosmopolitan 2010 Brasserie, located in the former scullery of the castle, features many of the amazing features of the original scullery including two cast iron cooking ranges dating back to the 1840's. Peckforton Castle's enchanting medieval style beauty and stunning location make it a truly impressive and desirable venue for weddings, christenings, birthday parties, or just about anything that's worth celebrating. Everything plays a part; the fabulous setting, stunning location, the attentive service and smiling faces, the bespoke menus and decorations. A magnificent venue for conferencing and meetings. Within the medieval walls, old and new combine seamlessly to offer state of the art multi media and conference facilities. Captivating on arrival, Peckforton Castle's unspoilt, natural beauty will stimulate and motivate, delight the eye, inspire the mind, tantalise the taste buds and leave you enchanted.